Years ago I asked Derek if he thought I was selfish, and he answered with a question - just like Jesus, what a wise man. He asked me if I thought I was selfish. 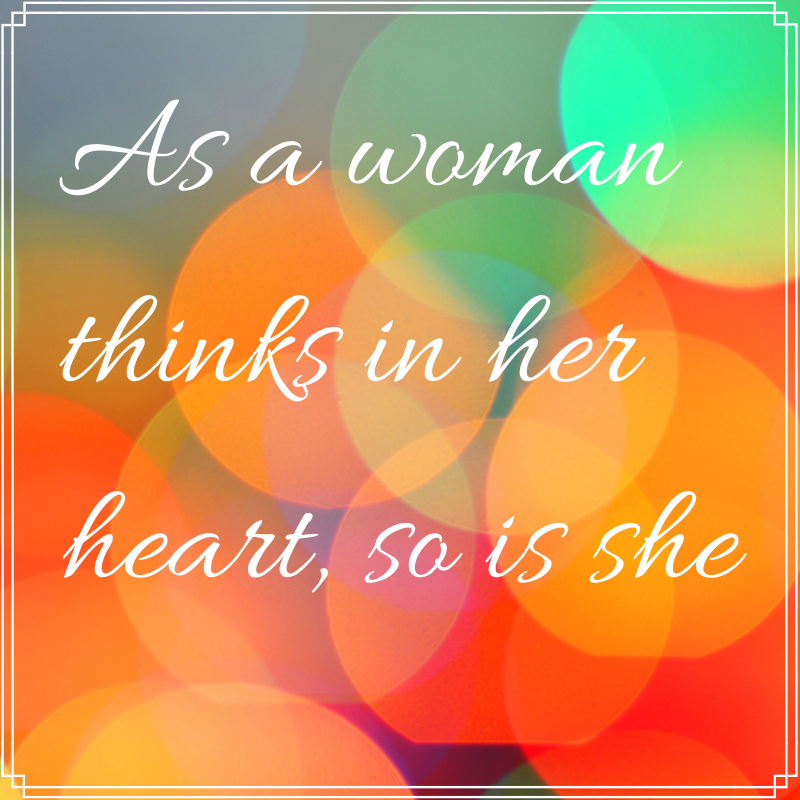 He preceded to tell me that according to Proverbs 23:7, as a man thinks in his heart, so is he. So, if I think I am selfish I will be selfish. This conversation marked me and started me down a path of awareness about how I thought about myself. I grew up in a home where we learned a great deal about the power of our words, so I knew never to speak anything negative over myself. I didn't fully understand the power that our thoughts hold on us, until I read Dr. Caroline Leaf's book, "Who Switched Off My Brain - Controlling Toxic Thoughts and Emotions". She says that a thought may seem harmless, but if it becomes toxic, even just a thought can become physically, emotionally or spiritually dangerous. 2 Corinthians 10:5, tells us to, "fit every loose thought and emotion and impulse into the structure of life shaped by Christ." We have to get to the place where we trust God's thoughts about us more than we trust our own. After all, we only are able to love others as much as we love ourselves, and if we are thinking toxic thoughts about ourselves, it is difficult to love ourselves. Caroline Leaf also says that "what we think about expands and grows, taking on a life of its own. The direction this life takes could be positive or negative; you get to choose (Isaiah 7:15). What you choose to think about can foster joy, peace and happiness or the complete opposite." Walking out these truths have helped pull me out of a very dark place. I told y'all that I would share some of the tools that helped to pull me out of the darkness, and Caroline Leaf's book was a great resource for me to get my thoughts back in line with what God's Word says about me. After all, He says that I am His masterpiece. Yes... I'm exactly like Jesus!